Place all ingredients into a bowl and beat together till batter is smooth. Scoop or pipe donuts into a 6 large donut pan, or can use muffin pan. Bake 350 for about 15 minutes. Donuts should pop out of pan. Let cool on cooling rack as you make your Protein Glaze. 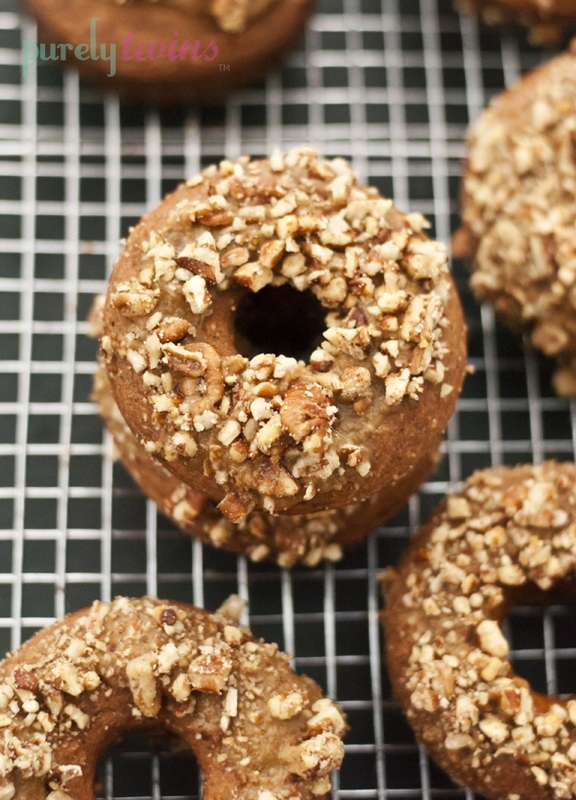 Dip or spread glaze onto donuts and then sprinkle pecan crumbs.